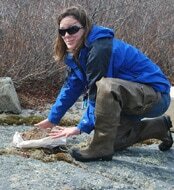 My research focuses on the conservation of species of concern in the Northeast. My work is multidisciplinary and I integrate genetic and genomic tools with population modeling and the collection of ecological and behavioral data. I work with a diversity of vertebrates, including black bears, New England cottontails, tidal marsh and shrubland birds, anadromous fish, and Atlantic cod. I encourage my students to incorporate field, laboratory, and quantitative approaches in their research. ​I use genomic techniques to study population differentiation and demographic history in species of conservation concern. Understanding the distribution of adaptive genetic diversity and barriers to gene flow among populations is vital for effective conservation management plans, whilst at the same time gives clues as to how speciation occurs. Using both RADseq and whole genome resequencing data, I am looking at adaptive divergence between populations of Nelson’s and saltmarsh sparrows, and the stock structure of the Gulf of Maine Atlantic cod fishery. 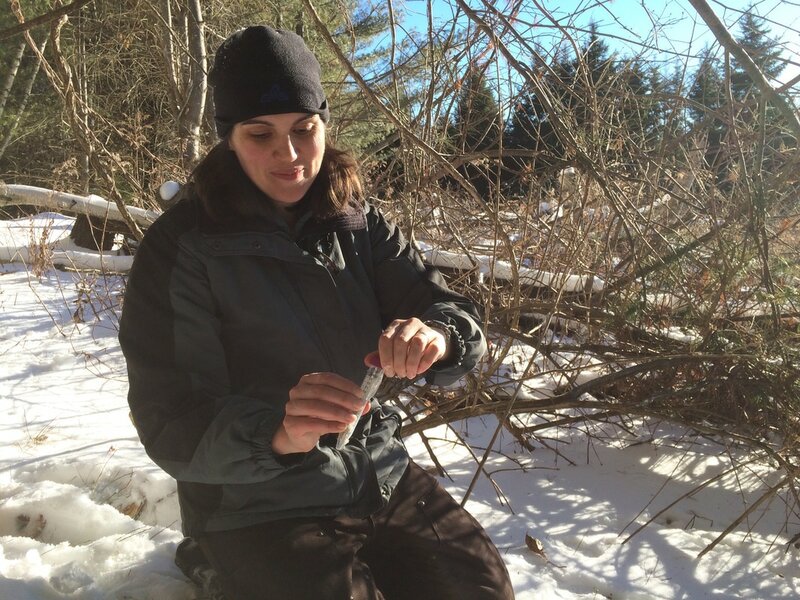 My research interests lie in using field-collected observational and demographic data in combination with molecular genetic tools to study wildlife population dynamics and evolutionary ecology, all while working within a broader ecological and conservation framework. For my Masters, I am focusing on the interspecific dynamics of two tidal marsh birds threatened by sea-level rise: Saltmarsh and Nelson’s Sparrows. I aim to evaluate drivers and patterns of hybridization between these two tidal marsh specialists that may help enable predictions about hybrid zone dynamics, adaptive capacity, and population viability into the future. ​I am interested in using quantitative and molecular tools to understand impacts of habitat loss and fragmentation on wildlife populations. For my Masters research, I focus on the New England cottontail, which has experienced extensive loss of population connectivity due to fragmentation of shrubland habitat. I will use landscape genetic and simulation modeling tools to identify specific landscape influences on cottontail dispersal. I will work with managers to predict the impacts of restoration scenarios, including habitat creation and translocations of captively bred rabbits, on cottontail population connectivity and genetic diversity. My research involves a population viability analysis for the New England Cottontail in southern NH. To accomplish this, I am live trapping and radio collaring rabbits to track survival and dispersal. 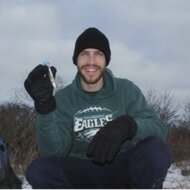 I am also conducting pellet surveys in the winter for DNA analysis. which will be used for patch population estimates and gaining additional dispersal information. 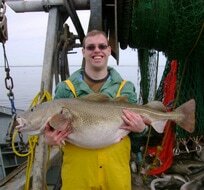 This project is a collaboration between NH Fish and Game and UNH. The results will be used for furthering the management and conservation of this state endangered species. 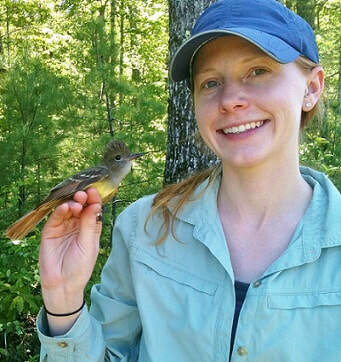 My research focuses on evaluating the shrubland bird community in powerline rights-of-way and clearcuts in southern New Hampshire and Maine. It is unknown how birds respond to different management techniques within rights-of-way and clearcuts across both the breeding and post-breeding periods, and I will use mist netting at 36 sites over 2 years to investigate this response. My study seeks to inform management decisions to best sustain the wide range of bird species that rely on these important shrubland areas. My primary interests lie in evolution and adaptation, especially in avian systems. 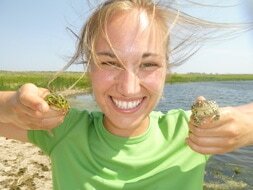 My Masters is focused on Saltmarsh and Nelson's Sparrows, a pair of sympatric sister species that offer a case study in habitat specialization. Coupling field data with genomics, I am investigating how the habitat-specialist Saltmarsh Sparrow minimizes nest failure due to tidal flooding. With sea-level rise causing higher and higher tides, researching how these threatened coastal birds are adapted to the challenges of tide-dominated habitats is crucial for informing conservation efforts, as well as deepening our understanding of how animals cope with predictable, fluctuating threats. While seeing to the day to day needs of the lab, I have the privilege of being able to work on many of the different projects associated with the lab. 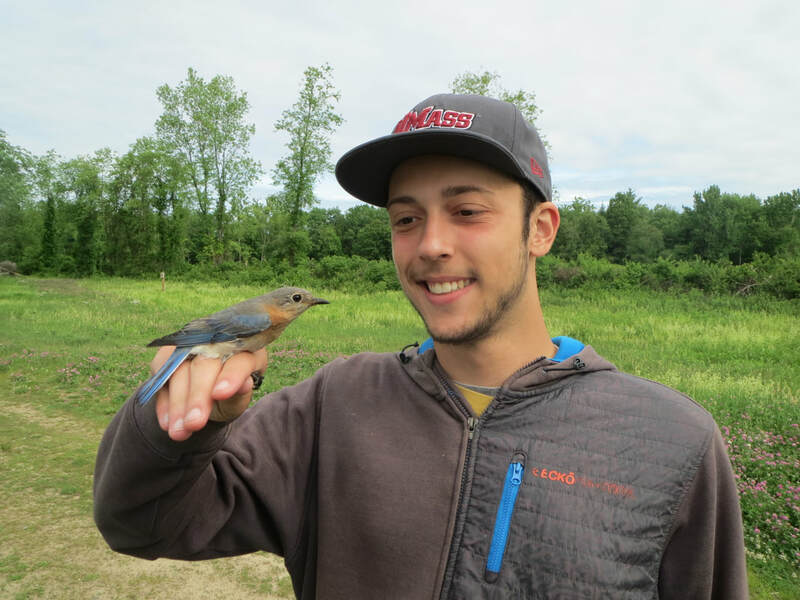 I use molecular techniques to gather data on Saltmarsh and Nelson's Sparrows, Atlantic Cod, and New England Cottontail’s, and I use field observations out on the salt marshes to collect data for both sparrow species. It is my goal to work in conservation and use both molecular techniques and field observations to better inform us as to the best course of action when it comes to species preservation and persistence.